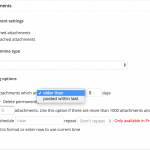 This add-on adds the ability to delete attachments based on whether the attachment is attached to a post or not. 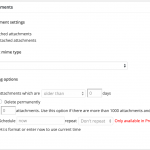 You can delete attachments based on the following options. 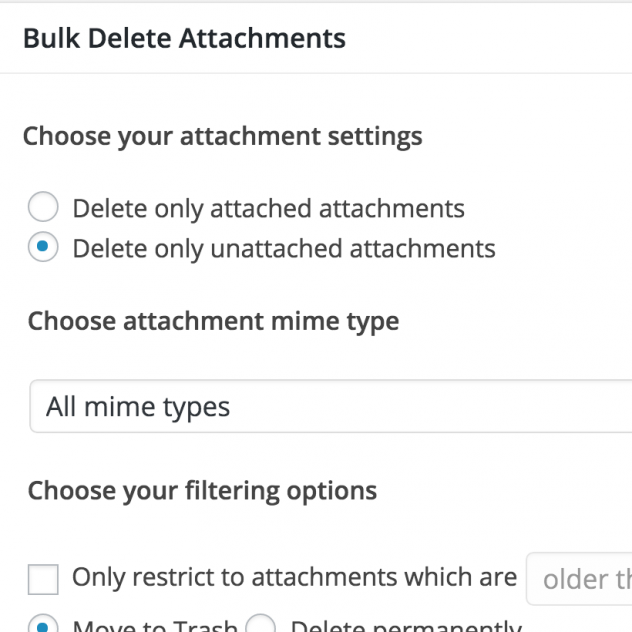 This add-on also provides a new filter in all the other ‘Delete Posts’ modules, so that the attachments of all the posts that are getting deleted can be deleted by choosing the filter. This add-on has the following filters. This filter can be used to hide the “Delete attached attachments” option. To enable the filter just add the following line to your functions.php file or any plugin. This add-on only provides the ability to delete posts based on attachment. 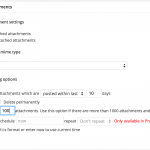 If you want to schedule deletion of attachments automatically, then you would need the “Scheduler for Deleting Attachments” add-on. 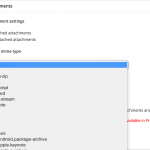 Requires at least v5.5 or above of Bulk Delete plugin. Added the ability to delete attachments of the posts that are getting deleted. Added bd_delete_attachment_excluded_attachment_ids filter to exclude certain attachments from getting deleted. Lot of enhancements to the UI.